It’s that time again! Time to think of getting organised this year. Planning on making decorations for the home, tree, mantelpiece and any other empty space! This magazine will help. Thirty-one projects that range from quick, easy and great for batch making to luxurious makes that are meant for the very special. What will help is the FREE gift! The most charming plump robin sitting on an ivy branch. 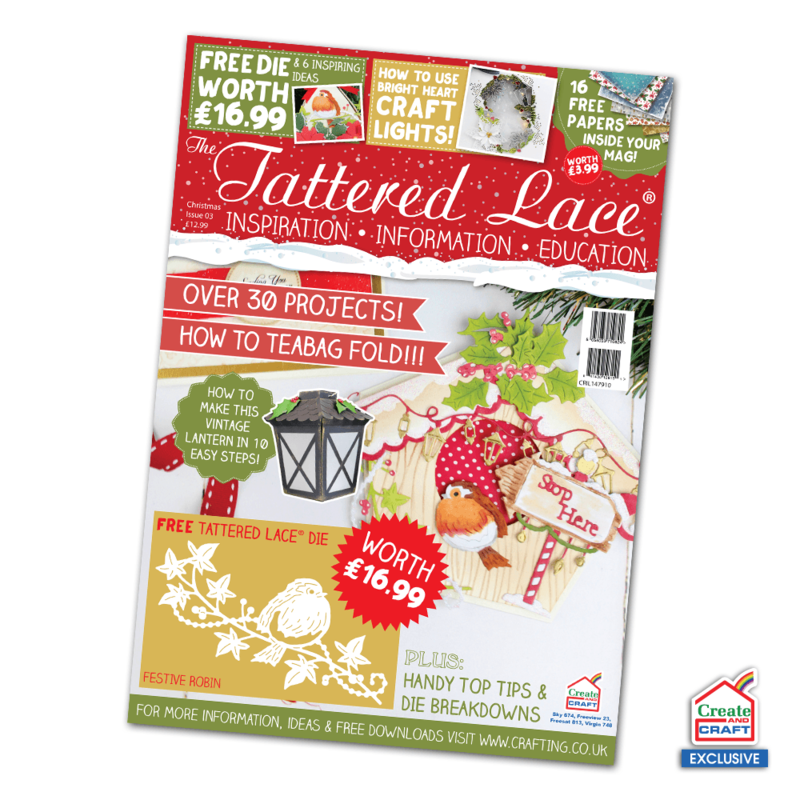 We hope you try some of the six projects for the FREE gift, or be inspired to create your own fabulous projects – don’t forget to share them! The Melded Christmas Die Collection, featured in the magazine, is simply divine and works beautifully with the Bright Heart Craft Lights. These are the cards that will be kept from year to year and be used as a Christmas Decoration. The Lamplight cards ooze elegance and a sense of tranquillity, whilst the Seasonal Symbol has a contemporary and fresh ambiance. The Owl Family Christmas brings in a real sense of fun and so do the Christmas Cuties. The Festive Star was a breeze to work with and makes a lovely Christmas Tree decoration. Those adorable Charisma Robins are perfect to raise a smile and the Snowglobes 2016 will take you through the Christmas Story and so much more.